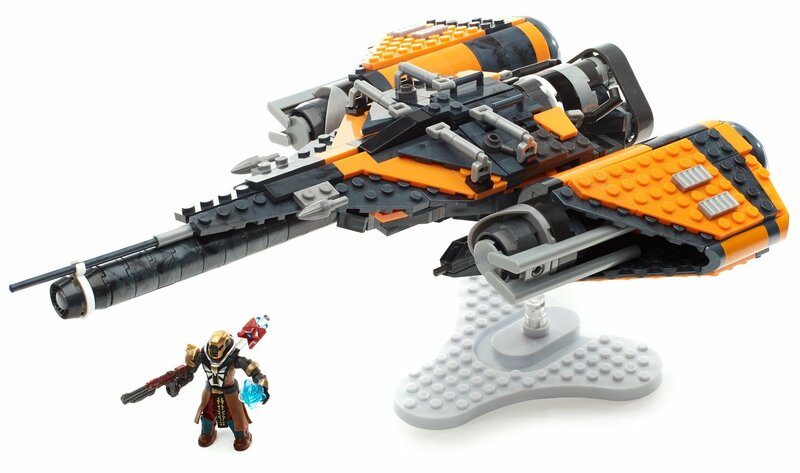 Prepare your Guardian to leap across new frontiers with the Arcadia Jump shipby Mega Bloks Destiny! Featuring iconic details inspired by the game, thisbuildable ship is ready to span the solar system when you set it on atransparent display stand and open the cockpit to sit your highly detailed,super-pose able Warlock micro action figure at the controls. Build the Jumpship, then set your course when you use detailed armor and accessories,including a real fabric sash, to outfit your Warlock for any destination, fromthe Tower hangar to the Temple of Crota! Ideal for ages 8 years and older.